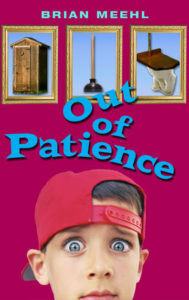 The idea for Out Of Patience came from reading an interview with a writer who was returning to Minnesota to live in the small town he had grown up in. He recalled how, as a kid, he’d made a vow not to die in that little town, and now, here he was, returning to it. I thought, good idea for a story. A boy makes a vow not to die in the small town he wants to escape, but death and destruction threaten before he has a chance to grow up. But what would that threat be? The notion for the threat came to me while visiting the British Museum and wandering into a room of 19th century majolica (dinnerware). A lot of the majolica was decorated with wild, imaginary beasts called “grotesques.” These “grotesques” have a cool origin. Back in the 1400s, Italian construction workers in Rome discovered subterranean caves and rooms that turned out to be rooms in one of Emperor Nero’s palaces from the 1st century. The rooms were decorated with all sorts of fantastic animals, and became known as “grotesques” because the Italian word for cave or hollow is “grotto.” This notion of fantastic beasts locked underground, which were then discovered and let loose, gave me the idea for demons, or a curse, that might be clogged up in the first flush toilet west of the Mississippi. Now I had an interesting character and jeopardy. From there, the story began to–you guessed it–flow. While researching Out of Patience, I wandered around western Kansas, visiting county museums and scouting small towns as I looked for the double for my fictional town. I found it in a tiny town named Wallace. I lifted Wallace into my imagination, along with attributes of other towns in the area, and Patience, KS was born. As well as a visit to the American Sanitary Plumbing Museum in Worchester, MA, my imagination was fueled by many wonderful books. Lambton, Lucinda. Temples of Convenience and Chambers of Delight. London, England: Pavilion Books Limited, 1995. Plumbing & Mechanical: The History of Plumbing, Parts 3&4. Trade magazine extracts, 1988-89. Bain, David Howard. The Old Iron Road: An Epic of Rails, Roads, and the Urge to Go West. New York: Viking, 2004. Fitzgerald, Daniel. 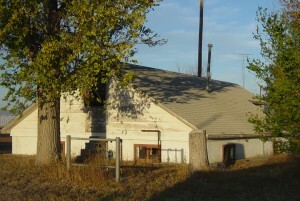 Ghost Towns of Kansas: A Traveler’s Guide. Lawrence, KS: University Press of Kansas, 1988. Least Heat-Moon, William. Prairy Erth (a deep map). New York: Houghton Mifflin Company, 1991. Miner, Craig. Kansas: The History of the Sunflower State, 1854-2000. Lawrence, KS: University Press of Kansas, 2002. Miner, Craig. West of Wichita: Settling the High Plains of Kansas, 1865-1890. Preston, Ralph & Monte. Early Kansas: An Historical Atlas. Tidewater, OR: Pioneer Press, 1997.